"I'd like you to use 20 of one particular thing on a card - be it blooms, papers, brads, ribbons the choice is yours - you can use other things too, but there must be 20 of one item/component - not 20 things altogether, that would be much too easy." 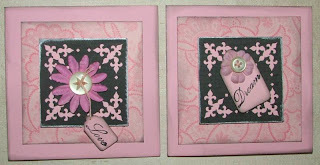 I was also inspired by the recent craze for "inchies" - a great way to use up scrap paper by decorating an inch square. 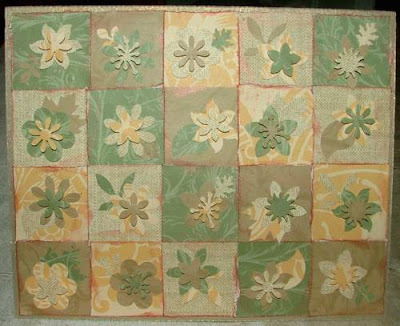 There are 20 flowers with 20 centres and 20 leaves... 3x20! 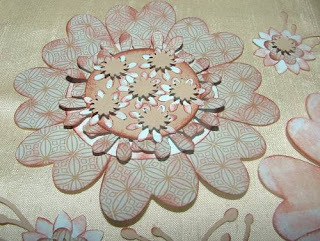 Ingredients and recipe: Anna Griffin Paper, 4 different medium flower punches, 4 different small flower punches and 4 different leaf punches. 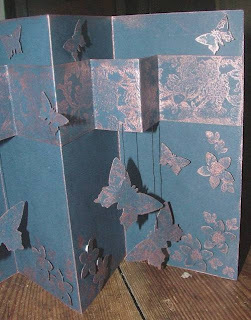 Squares have been inked with a copper coloured pad. 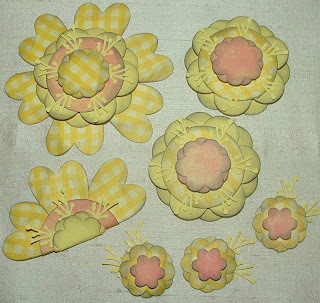 Flower centres stuck with a small 3D pad. 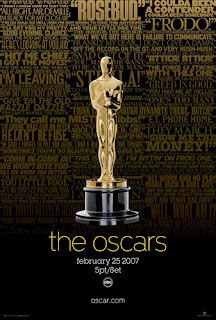 We have our annual Oscar party tonight. I am hoping that my friend has sucessfully taped it from last night and will be bringing it with her later. Each year we gather select friends to watch the ceremony with us and compare our already filled in ballot forms. Evening wear and Black Tie is a must, and of recent years chocolate fondue! The trick every year is to try and get through the day without hearing any of the results!!! So here are the results, spot the difference! Which one do you prefer? Ingredients: Anna Griffin paper and stamp, Hero Arts stamp, various ribbon, lace and cardstock, and variety of "winged" punches. 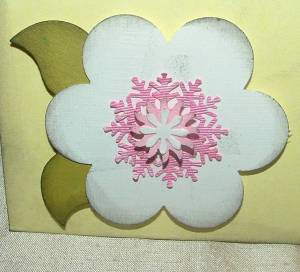 I was looking at my Xcut snowflake punch that I love sooo much, and thought that would a lovely centre for a flower, especially if I stick two together... so had a bit of a play and this is what I came up with. 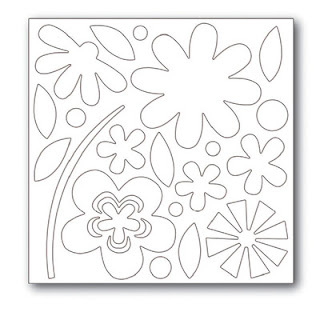 I am particularly drawn to the contrast of the detail of the snowlake with the large expanse of the daisy. So, heres a challenge, how can you use a faithful punch in a different way? The centre of the white one is also two snowflake punchies. BIG NOTE TO SELF: Get this card sent to a friend I've not been in contact with for ages!!! 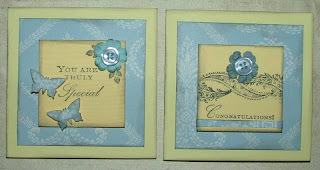 I like the idea of doing colour co-ordinated sets, with different styles of flowers - watch this space for more! These will be listed on ebay on Saturday night. Found this website of Peter Callesen an artist who cuts out paper...its amazing! Thought you'd be inspired by this. It's by the talented Tonya. I've been thinking of new creations to sell on ebay... 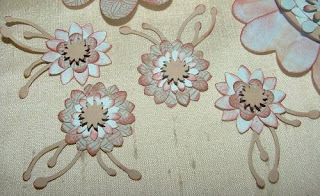 I do love my flowers and my array of floral themed punches, so I put them to good use after being inspired by Carole Janson's and Paper and String blog. 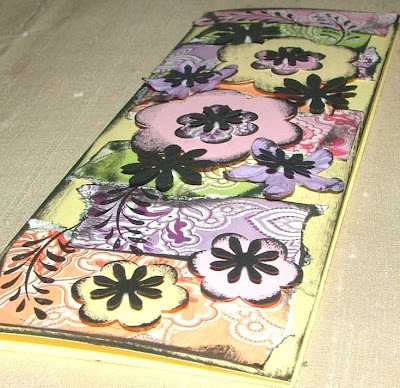 I came up with a paper jewellery for scrapbook pages/cards idea! 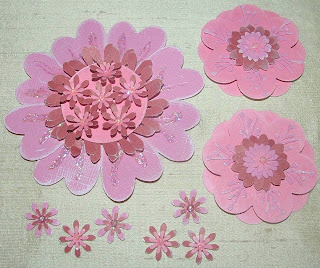 Basicaly embellishments for your paper crafts. 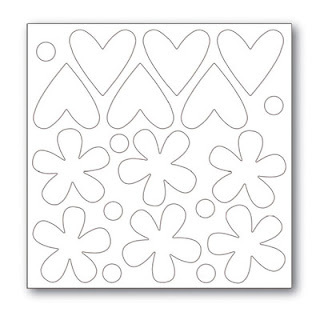 I'll see how popular they are, and maybe even come up with some kits of ready punched flowers and petals... what do you think...comments welcome! Had to make a thank you card this morning, so whilst toast was on, I quickly put this together. Got to use my new Anna Griffin butterfly punch! And a nice way to use up some scraps. 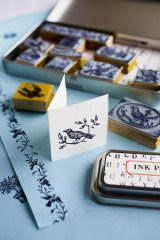 Ingredients: Anna Griffin papers, punch and stamps. Yummy stash on it's way! 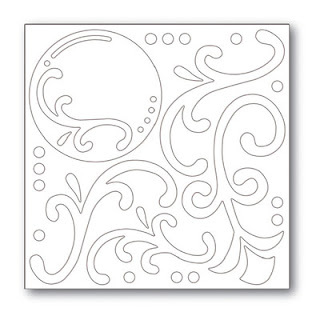 Just checked the Daring Card Makers site and the the challenge is up to make a men's card. Fortunately I've been busy making men's cards this week for various birthdays. So here is the one for my father-in-law, which is about to be sent off. ...and well done to my sister Esther for winning the media inspired dare! 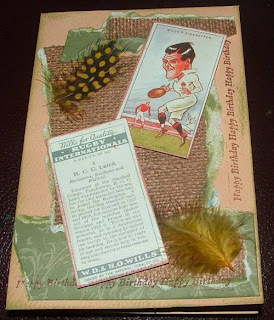 Ingredients: Anna Griffin paper, HOTP paper, feathers reproductions of vintage cigarette cards. For those who don't know, I am an "Independent Consultant" for TLC, a US srapbooking company. I became one about 2 years ago when looking for products to sell on ebay. I've ended up mostly using other suppliers, but was tempted and gave in today when I saw they had some good offers, some lovely new products, and I had to buy a minimum of $25 to keep my account active. 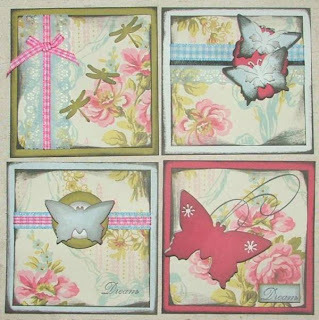 The items that really caught my eye were these fab chipboard bits. 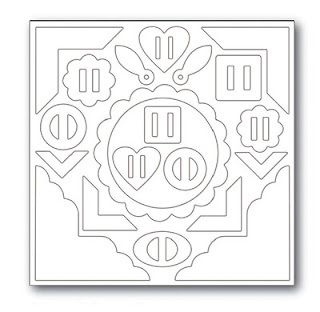 They come in a 6x6" square and can be popped out and decorated. Can't wait to have a play with them! I've ordered some extra to stock in the shop too! 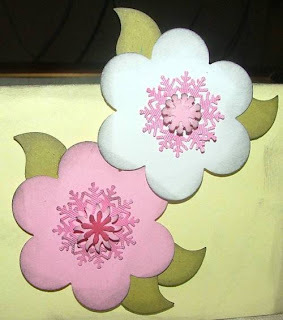 "... make a card that has to have more than one fold - so it can be a gate fold card, or a 3 panel card with an aperture or a card with multiple folds OR you can incorporate paper folding on the actual card itself. It can be on any theme." I set myself a further challenge by only using one colour of card and one inking color. 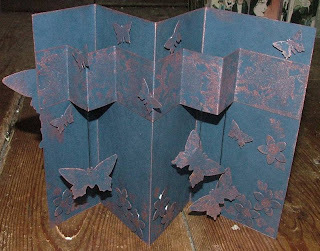 I really enjoyed making it and am really pleased with the outcome, however I am now on the search for darker coloured foam pads or figuring out an alternative, as the white pads really spoil the effect of the dark card when viewed from different angles, especially as this has so many folds in it. If any one has some useful suggestions please leave a comment and I'll let you know if I try any out! Well, we've suceeded on 2 out of 3. My Country is a bit of an abstract concept for Luke, and when I quizzed him as to what he though it meant he didn't really have an idea. Our weekly organic veggie box had 2 leeks in it last week, so I've saved the best looking one for the entry. 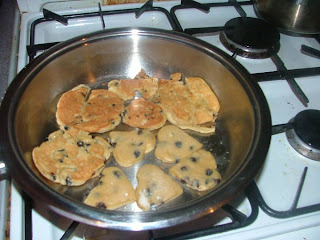 We tracked down Tom's gran's recipie that we all used to enjoy and with the careful instructions from Tom's mum that it was better to make the mixture a day before cooking - we have a plateful of Welsh cakes to choose our six. 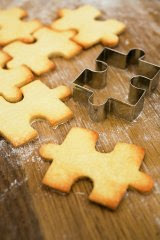 We didn't have a proper round cutter, so we used a toy plant pot turned upside down that was about the right size, and Luke had spied a heart shaped cookie cutter in my cupboard (not the traditional shape of Welsh cakes). 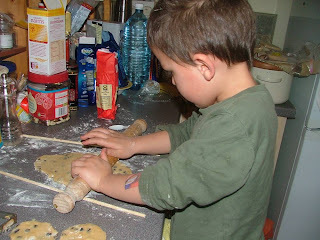 We used dowling rods either side of the rolling area to insure equal thickness and luke had an initial go at flipping them over - I soon took over when he realised the pan was very hot! All we have to do tomorrow is sprinkle them with sugar. The funny thing is, Luke usually chooses not to eat cakes etc with currants or raisins in, but he seemed to quite happily eat these! 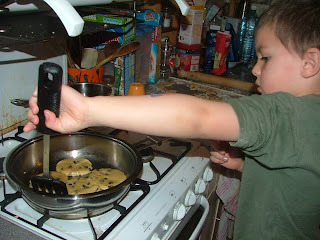 It goes to show that if children are involved in the cooking process they are more likely to try and like what they've cooked! 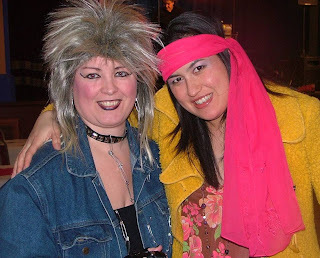 Nearly forgot to tell you about the 70's night! Well, considering it was nearly cancelled because we hadn't sold many tickets - it was a roaring success! There were approx 150 people there, with at least 90% making a real good effort on the costume front. People were up and dancing and enjoying themselves. Not sure how much money we've raised in total, will update you soon. Me (right) with the midwife that was present for Luke's birth! 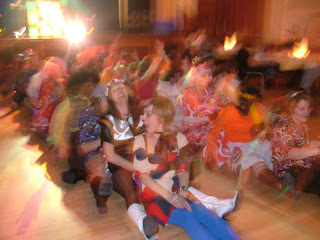 An atmospheric photo of the "boat" dancing that took place on the floor! 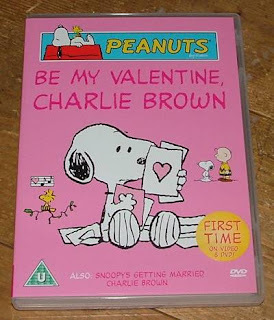 Look what I got this morning underneath the post, from my "anonymous" valentine... they know me so well. 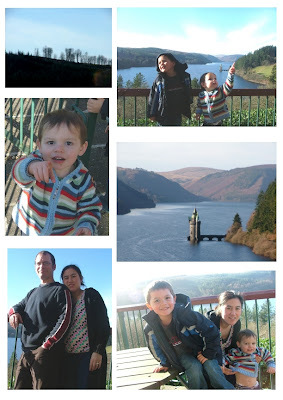 After and parents and toddlers we went off to Lake Vyrnwy. I wanted to see the craft unit there and have a spot of lunch. It was a gorgeous day, really sunny and not too cold. Below are some pics. We went to The Tavern pub part of the Lake Vyrnwy Hotel. The terrace has a lovely view over the lake. Took some lovely pics of the boys and the view. i love giving Luke the camera for him to take pics from his world view, he took the one of Tom and I. As I was on a roll, thought I'd better get my DH's card done! Partially inspired by the Daring Card Makers Speshal dare, I used a cropped photo of us taken at a wedding. 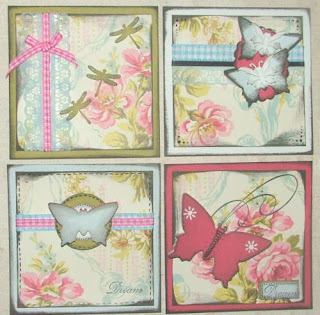 Ingredients: Anna Griffin stamp, stickers from Woolworths, scrap of ribbon and corner punch by Mary Englebreit. Ingredients: some scraps of gorgeous Anna Griffin paisley paper, punchies and an Anitas stamp, and of course lots of inking - it had to be over the top! Well, the cards were picked up and will soon be appearing in this shop. Managed to get together 20, and hopefully the start of things to come. Lake Vyrnwy is a popular tourist attraction, a very pretty spot. So if you're ever in the Midwales area to pay a visit! I find it so hard to price cards sometimes, and get so cross that the big national card shops can sell "hand-made" cards for ������3-������5 and I struggle to get ������1.50-������2. Some people really understand the hard work that goes into them, and it is lovely when your work is appreciated. 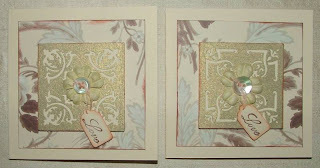 Ingredients: Anna Griffin papers and punches, Prima flowers and vintage buttons. More tidying... but need to craft! Had a bit more of a tidying frenzy today. The floor area around the computer desk is actuall clean in the first time for a long time!!! 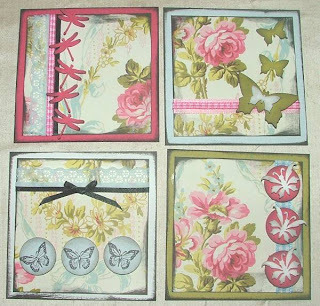 I am determined to do some crafting, need to do some cards tonight as a lady from Valley Arts and Crafts network is coming round to pick some up tomorrow. They have a unit at Lake Vyrnwy selling items from the members. Also...Esther's blog has beaten me in the amount of traffic she gets to hers! We can't have that, after all she is my younger sister!!! 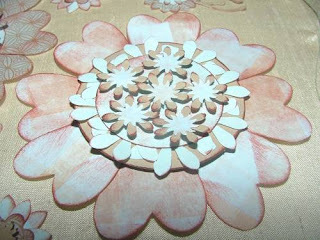 I'm loving the work that is coming from her craft table at the moment, keep it up Essie! I've been window shopping on the Cox and Cox website. ... and these unusual stamps. Right, I'm off to start planning my next batch of cards. ...you tidy a clutter spot in your home. I have to confess for those who don't know me, I am not the world's tidiest person. It is something I struggle with, but since turning 30 it is something I am determined to conquer. I have even signed up to daily emails from "The Organiser Lady". They send tips and motivational thoughts to get you going and to keep going. Anyway, in our home we keep coats, shoes and other accoutrements under the stairs. The invertible had happened. 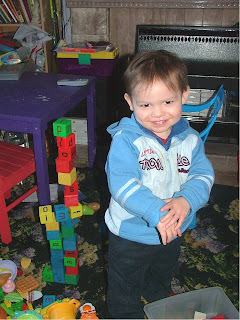 The space had become a shambles, a complete mixture of coats not really worn, current shoes, summer shoes, shoes that were well past their best, shoes that were too big for Luke that I was saving for Ethan and slippers that are saved for members of my family for when they come to visit. So, I tackled the area with gusto today, removing nearly every item to the front room for sorting. The area is now freshly sorted minus two bags of items to be washed or go to the charity shop or recycled. Boy it feels good to have a freshly hoovered hall with a tidy understair area. Is it just me to take pleasure in such a mundane thing? I am now timing how long it will stay that way! Was feeling tired today, so I spent most of the morning watching the extras on the Lion the Witch and the Wardrobe DVD, recently acquired from that fabulous aucton site! I wasn't being completely bone idle as I have finished one of the two brooches that have been on order for far too long! (I was awaiting delivery of some crystals, and partly procrastination were to blame). Ethan also had a productive day creating two amazing block structures. 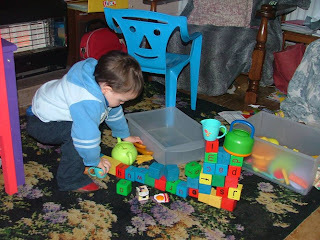 The first was more like an art installation, encorporating plastic food items and bricks. The second was a feat of engineering, scaling heights he had never before reached. Of course these two momentus events had to be caught on camera! 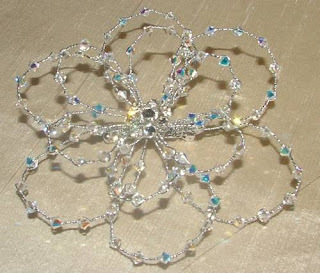 Note to self: make other brooch, and tackle latest DCM dare! 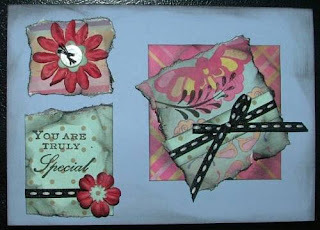 I love using up scraps, it's so satisfying! 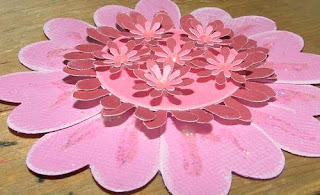 To think, all those little bits that could have ended up in the bin can create something quite lovely. 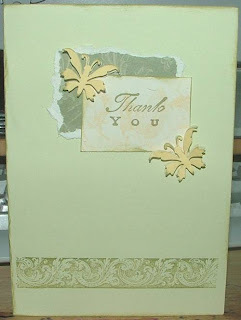 The latest mid week dare from Daring Card Makers was to create a card from a sketch. 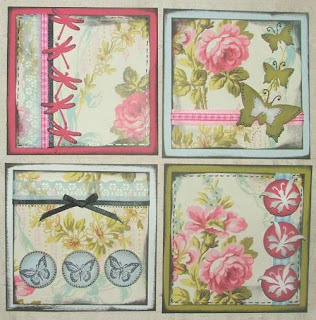 Ingredients: Cherry Arte and Brenda Walton paper, prima flowers, punchies, button and floss, ribbon, Anitas leaf stamp and lots of tearing and ink distressing.